As the two systems’ names imply, the main difference is in their structural design. While DSLRs—digital single-lens reflex cameras—have a traditional structure that includes an optical viewfinder and a tilting mirror from which light reflects onto the sensor grid, mirrorless cameras don’t have these elements. I should also add that no matter whether you’re looking at mirrorless cameras or DSLRs, you’ll find a wide range of quality levels. It strongly depends on whether you’re reaching for a simple camera made for beginners or picking up one made for pros. Don’t forget that at the store—or in the comparison below. The biggest difference between the two systems, at first sight, lies in the cameras’ size and weight. Mirrorless cameras have the advantage of not including a complex and bulky system with a mirror, thanks to which they’re smaller and lighter. This is a major positive. Your neck will definitely appreciate it when you’re running around all day with a light mirrorless instead of a large and heavy DSLR. But as soon as you start thinking about lenses, the situation here gets more complicated. After all, even mirrorless cameras have access to a range of lenses that goes from lightweight pieces to fairly robust and heavy ones. In combination with a small and light camera body, they don’t feel balanced enough in your hands. 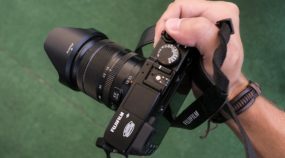 And if you also prefer a distinct ergonomically shaped grip—the kind that’s simply a natural in DSLRs—you’ll be disappointed with many of the mirrorless cameras out there. Their grips are often smaller, which can be uncomfortable for many photographers. Another fundamental difference is in the viewfinder design. The cheapest mirrorless cameras often lack a viewfinder completely, forcing you to rely on the LCD display. For mirrorless cameras, meanwhile, they’re simply a matter of course. Meanwhile DLSRs will normally have a built-in optical viewfinder, where you can see the scene as it looks naturally, right as you have it in front of you. Mirrorless cameras, on the other hand, use an electronic viewfinder (if they even have one) that presents the image digitally. For some people, this is actually an invaluable advantage—this viewfinder shows the scene as the camera will capture it. The image simulates the camera’s current exposure, white balance, etc. settings. That means you can avoid unpleasant surprises in terms of accidentally overexposed, underexposed, or tinted images. You can also show a histogram and information on the camera settings. But all this costs some electricity, and you can feel that in the battery life. Meanwhile, an optical viewfinder doesn’t drain the battery, and it also doesn’t require you to turn on the camera to look through it. In the last section, we ran into the high energy demands of mirrorless cameras’ electronic viewfinders. And a short battery life is definitely one of the minuses of mirrorless cameras. They can only take around 300 pictures on a full charge, while some DSLRs can even take more than twice as many. So in practice, with a mirrorless you need a much larger stock of batteries. 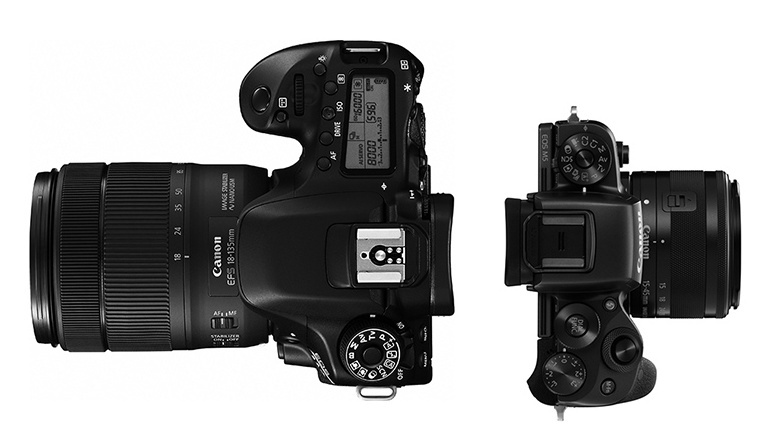 The fault lies both in the demands of the EVF and in how these cameras’ smaller bodies also mean smaller batteries. If you haven’t had to clean a sensor yet on your DSLR, believe me when I say that with a mirrorless, you will inevitably have to do it. That’s because with a DSLR, the sensor is nicely protected by the mirror, and so frequent lens swaps don’t really threaten it. But the moment you lift the lens off of a mirrorless, you’re uncovering the camera chip, and dust will stick to it quickly. When it comes to shooting speed, DSLRs are limited by the presence of a mirror and by their more complex mechanical systems. They’ll lag a few shots behind a mirrorless, with its speeds of up to 20 shots per second. 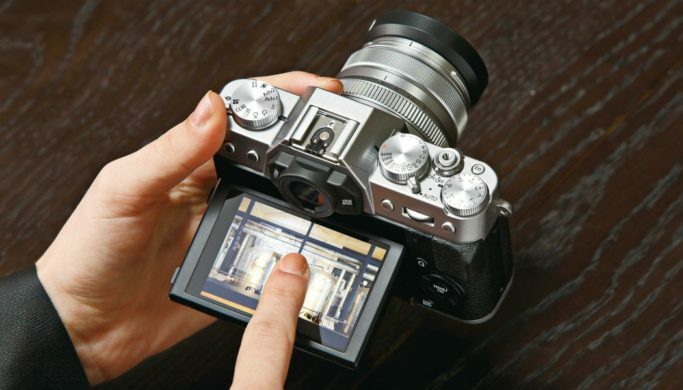 Mirrorless speeds are also helped by the use of an “electronic shutter.” Put simply, it replaces mechanically revealing the chip with merely setting the intervals at which the sensor should count the light. But it’s questionable whether you’ll really get use out of such high speeds in practice. Want to be inconspicuous when you’re taking your pictures? Then a mirrorless will please you with more than just its small size. Some of these cameras can shoot with zero shutter noise, thanks to their electronic shutters. So when you’re in the theater, on the street, or doing reportage, you can take your pictures without attracting attention. One thing that can limit you in practice with a mirrorless is the choice of lenses. After all, DSLRs have been on the market longer, and so their lens selections can sometimes be extremely broad—including some quite specialized lenses. 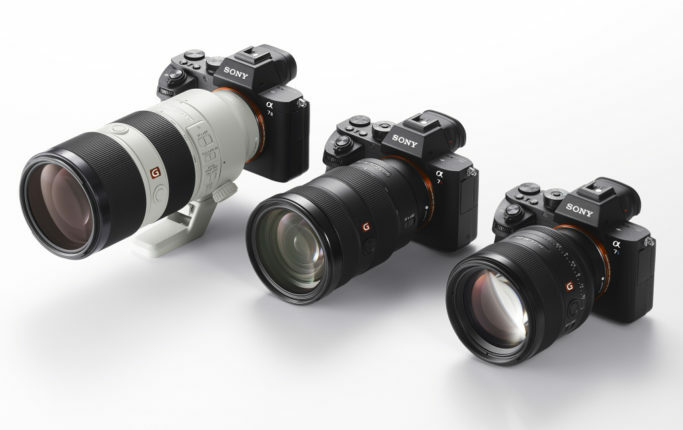 For mirrorless, your options are significantly more austere. But I do have to add that the situation here is improving rapidly. And with help from adapters, you can use other brands’ lenses as well. On the other hand, it’s always nicer to work with lenses made specifically for a given camera type. However, in many other respects, a DSLR and a mirrorless shoot on absolutely the same level. 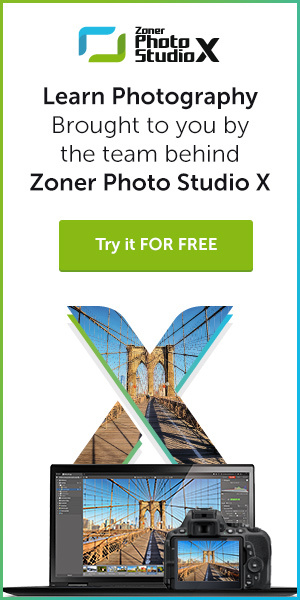 They’re equals in everything from image quality to, say, focusing speed. 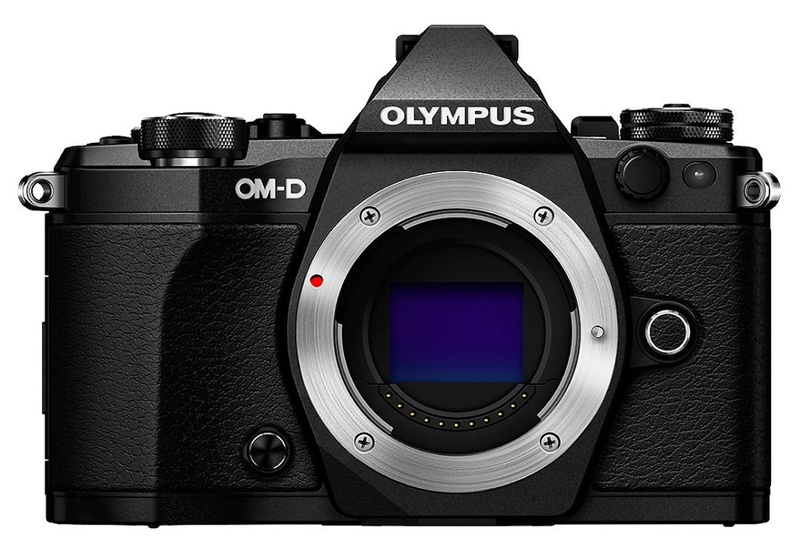 Outside of a few specific models, the layouts for their controls are also very similar, and so you’ll find your bearings quickly if you move to a mirrorless. So if you’re deciding between these two systems, here’s a tip for you. Get some hands-on time with them and think hard about which of them suits your needs and preferences.